Understand, mitigate and plan for flood events with expert flood monitoring, modelling, forecasting and warning services. Our flood services help people, companies and public organisations to understand their current and potential future flood risk, enabling them to mitigate and plan for flood events and minimise or prevent damage and disruption to homes, businesses and infrastructure. Flood Risk Assessments (FRAs) are a formal requirement to support many planning applications. 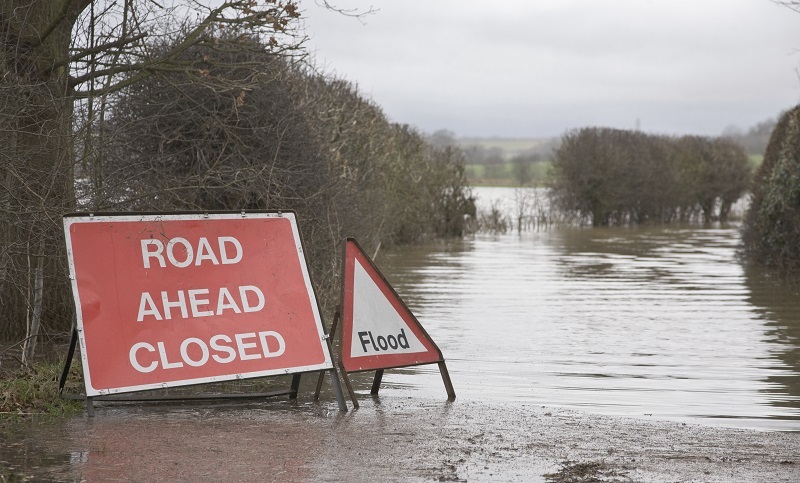 Specific requirements apply in England, Wales and Scotland, but in general, FRAs need to demonstrate whether a proposed development is likely to be affected by any type of flooding and whether it will increase flooding elsewhere. We have huge experience in undertaking both FRAs and Flood Consequence Assessments (FCAs) for housing, commercial, agricultural, power, leisure and quarrying applications. Flood hydrology entails the calculation of flood peaks or flood hydrographs for observed floods or for design floods for specified return periods. Our expert consultants use UK Flood Estimation Handbook (FEH) methods in undertaking FRAs and in support of hydraulic modelling, enabling us to appreciate situations in which the methods work well and critically, and the conditions in which they require some refinement. Our staff are also able to offer expert advice on historical floods. We have undertaken a number of post-event investigations to understand flood mechanisms and quantify the return period of resultant flooding. Our hydraulic modelling services provide accurate estimation of water levels and flood extents for rivers and watercourses. Although UK flood extents are shown on the Environment Agency website, these are often based on the use of generalised models; detailed, site-specific modelling can be used to refine and challenge the flood maps. The models can also be used to estimate flow velocities and the associated flood hazard ratings. Our experts have developed numerous 1D and 2D hydrodynamic models of watercourses and floodplains. We use industry-standard software packages, including HEC-RAS, ISIS and TUFLOW, in our modelling assessments. These have been used for establishing design flood levels, flood map challenges, rating extension, hazard ratings, breach analysis and design of mitigation works. Flood mitigation is an essential component of the work that we undertake for FRAs. Mitigation ranges from the design of drainage measures such as soakaways through to the design of flood balancing reservoirs. While flood warnings are routinely available from public organisations such as the Environment Agency, these warnings are not appropriate where the "response time" of the catchment is short. This applies to minor rivers and for surface water flooding during storm events. We have developed an effective flood warning system that uses observed river levels and/or rainfall from our monitoring sites as a basis for flood warnings. Using this system, when thresholds in river level or rainfall are exceeded an alert is sent from our telemetry data loggers to our head office computer servers; the server then sends an automated warning to identified users, such as a rapid-response team, who can then respond quickly at the areas affected - protecting properties and minimising risk. Our expert consultants will help you to scope your flood management project and will work with you to design the project that meets your exact needs. The Hydro-Brake® Flood flow control provides large-scale protection at the watercourse level, preventing costly damage and disruption to residents, businesses and essential services.